1) It has to create power without creating any irritating “drone noises” at the midrange where I like to keep my rev needle 85% of the time. Like most true performance exhaust systems, double-digit gains are expected and will vary from car to car with geographical location and temperature differences. 2) It has to have a higher pitch sound…. something more “European” sounding like a true super exotics…. I was tired of all the aftermarket exhaust that was merely larger piping and sounded like a diesel pickup truck at wide-open throttle. We accomplished this by utilizing a unique 1-4 reverse merge design that makes you rethink the way exhausts should be designed. 4) It has to be T304- Stainless steel and 100% hand TIG welded with CNC machined T304 flanges for that perfect fitment every time. We also back purge all of our welds with argon gas so the penetration is 100%. Penetration is a good thing! Trust me on that one. 5) It has to sound exactly the same on day 5000 as it did on day 1. We accomplished this by not using any fiberglass packing material, which deteriorates over time. Most exhausts on the market will sound different in a few months because the packing material has disintegrated through all the heat cycles. With our final version… We realized that resonators weren’t required on all the exhaust legs, only one of them ended up with a resonator. 6) It has to have smooth mandrel bends… No 90-degree bends anywhere in the entire system. Flow is everything for an exhaust, too sharp of a bend and it becomes restrictive and power robbing. For ease of install… We revised it to have a V-band clamp which helps on the install as well as shipping. 7) Since the GTR is a turbo charged sports car… I want to hear the turbos spool and the waste gates letting off. Why pay all this money for a car to only hear it sound like a naturally aspirated car because the exhaust is so muffled and restrictive. Sound cancelation can be achieved in a few different ways… PWJDM through years of research and development figured out a way of reducing the exhaust notes you don’t want while keeping the notes you want to keep without having to use a conventional resonator/muffler. 8) It has to be sickest, baddest exhaust period! 1-4 reversed merge split (we like to call it the squid)… And has an exotic sound to match. Well so much so… Soon after we released this exhaust, Greddy made a 1-4 version very similar to ours… Sure they placed some resonators in the piping to make it different which is cool… The funny part was that they had 4 exhausts already for the GTR before they came out with this new version. It just goes to show, if it’s that good… Then it’s definitely that good! It was quite flattering to be honest with you. 9) Oh yeah, It has to be 100% hand made here in the USA and it has to be made 1 at a time. These 9 conditions were written down… And then we went to work. What we came up with… Was mind blowing! A true work of art that truly performs as expected! At PasswordJDM, it wouldn’t have been any other way. And once again… If there was an exhaust in the market that I would have been happy with, I would have NEVER have created this exhaust. With so many words, I can tell you how exceptionally well this exhaust was created… The one thing I cannot tell you, is how great this exhaust sounds… You almost have to hear it in person. What we ended up with is a well-balanced exhaust that has a note worthy of any world-class super exotic. An exhaust that you can hear, but yet not over bearing. And exhaust that you can feel in the seat of your pants and also on the dyno. A true head turner that won’t get you a middle finger like you would if you rocked one of the other “truck style” GTR exhausts. 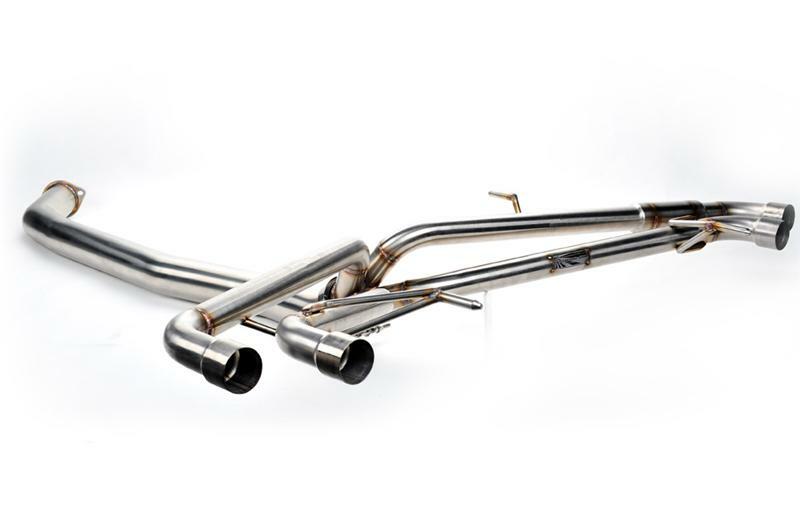 An exhaust that will last a life time… Should also carry a limited lifetime warranty. We stand behind this exhaust so much that it is warrantied for life. And if you are still on the fence, I say you should try it out… If you don’t like it, send it back… we’ll give you your money back less shipping which is more than fair. We are that confident about our products.